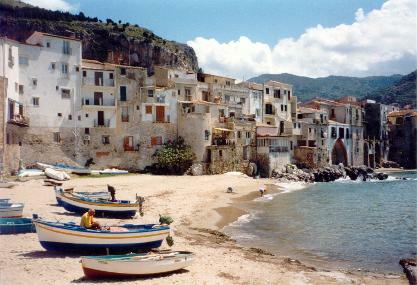 Cefalù is a world wide known tourist resort placed on the Tyrrhenian coast, 60 Km away on the eastern side of Palermo. 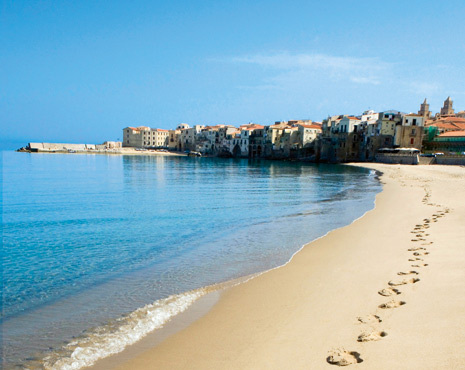 The ancient Sicilian village was founded in the IV century B.C. Fortress and the Norman Cathedral soaring above the town. Around the Duomo, real fulcrum of the medieval town planning, meander several narrow streets and you get the chance to admire a lot of churches and small Baroque and Renaissance mansions. Particularly worth visiting are: "l'Osterio Magno", "il lavatoio Medievale" (the medieval washhouse), "il borgo Marinaro" (the fishermen hamlet), "il Tempio di Diana" (the temple of Diana) and the Mandralisca museum keeping rare archaeological remains and different ages' works of art such as the extraordinary "Ritratto d'Ignoto" (Portrait of Unknown) by Antonello da Messina. Gibilmanna is 20 Km away, Palermo is 60 Km away, Monreale is 70 Km away, Castelbuono is 30 Km away, Parco delle Madonie (Natural Reserve) is 40 Km away, Segesta 115 Km away, Trapani is 140 Km away, Erice is 150 Km away, Agrigento is 160 Km away, Catania is 170 Km away. 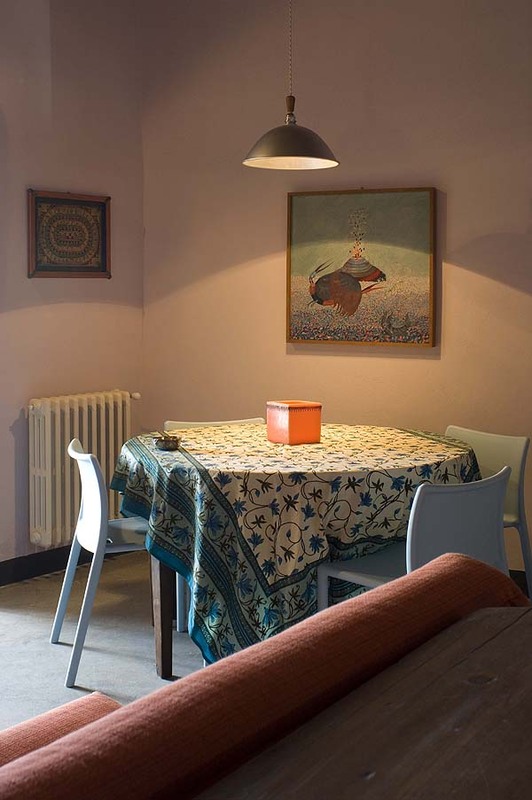 Comfortable apartment with independent entrance placed in one of the most characteristic alleys of Cefalù, right in the centre of the ancient borgo marinaro (fishermen's hamlet). 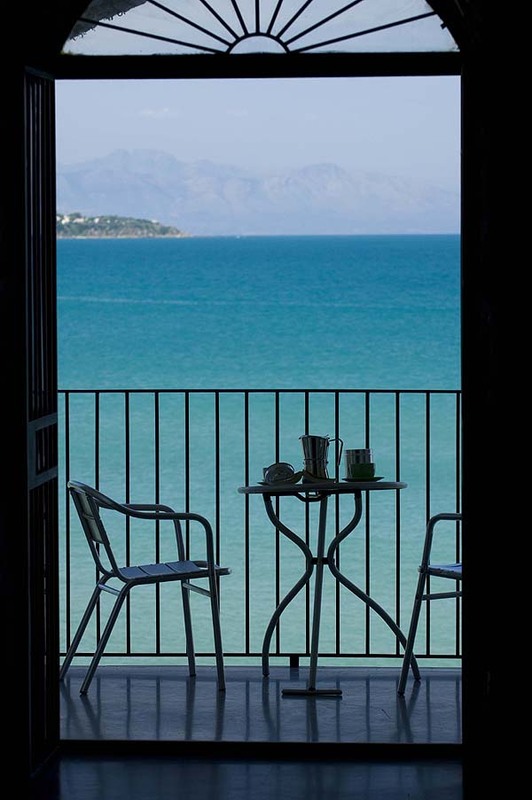 The central position of this accommodation permits you to reach -easily on foot -shops, restaurants, banks and all the monuments of this extraordinary locality. maintains visible its original wooden, joisted and beamed ceilings and has been furnished with rustic furniture of simple style elegance. The small terrace -fronting on to the little creek down below and to the sea -gives the guests the opportunity to enjoy an exclusive and secluded corner, particularly fascinating and suggestive. 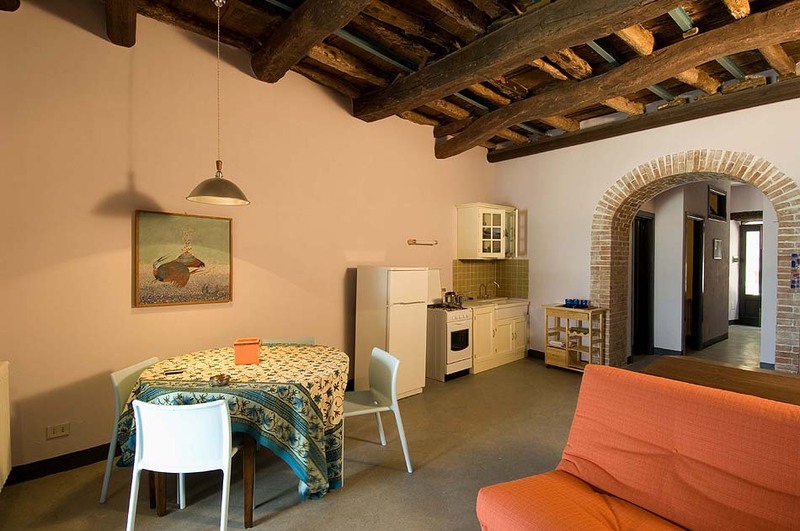 DETAILED DESCRIPTION OF THE ACCOMMODATION G.F.: kitchen/living room, 1 double bedroom with en-suite bath, terrace. 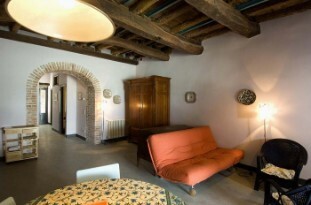 1st F.: loft with sofa bed, 1 twin bedroom, 1 bathroom with shower.